I’ve just been from Hawaii ! Hawaii have clearly hot weather and blue sea was beautiful. But Japan… is muggy. Japan is still in rainy season. I can’t believe Hawaii and Japan is in same “summer” season now. Those are completely different ! But markets and shops that offer fresh and tasty fishes are great in such a muggy season ! This was the first time to visit the shop. The shop is named Uogashi Sayori. 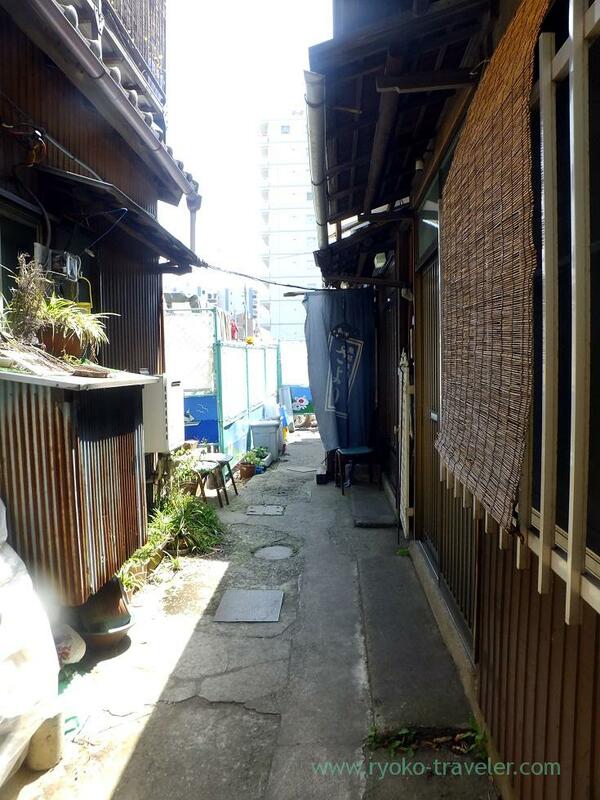 Small house along the narrow alley.It is not ordinary private house. It’s a shop. Well, maybe its upstair is their private area. 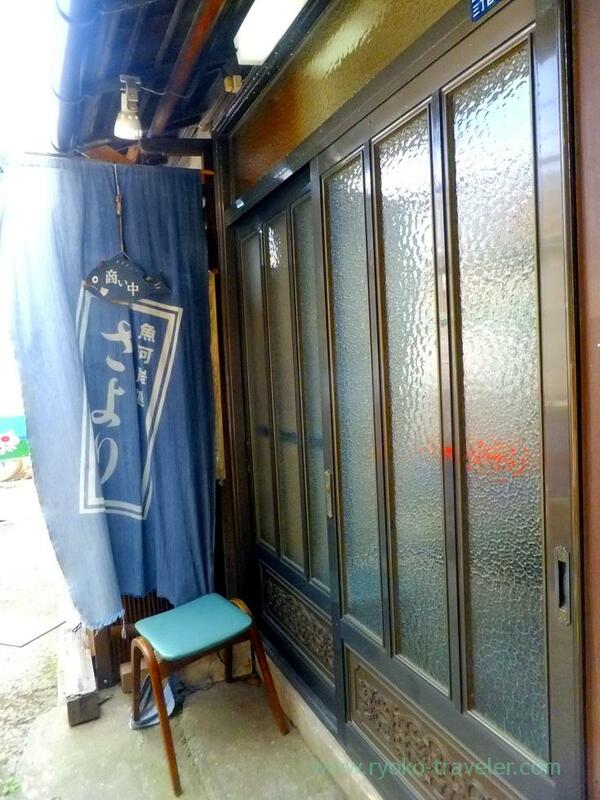 At first I hesitated to open the door because it seems completely private house’s entrance. That’s a small shop that have three chairs along the counter table and another three tables. I felt like eating grilled fishes with saikyo miso, so I ordered a Today’s lunch set (日替わり定食, 850 yen). 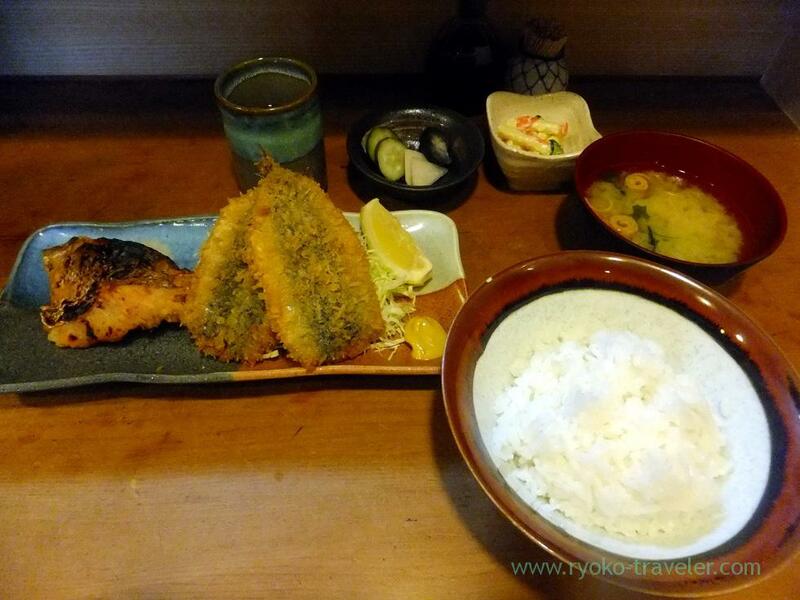 Today’s lunch set had grilled red sea bream with saikyo miso and deep fried sardines. Large ! Macaroni salad was better than I had expected. 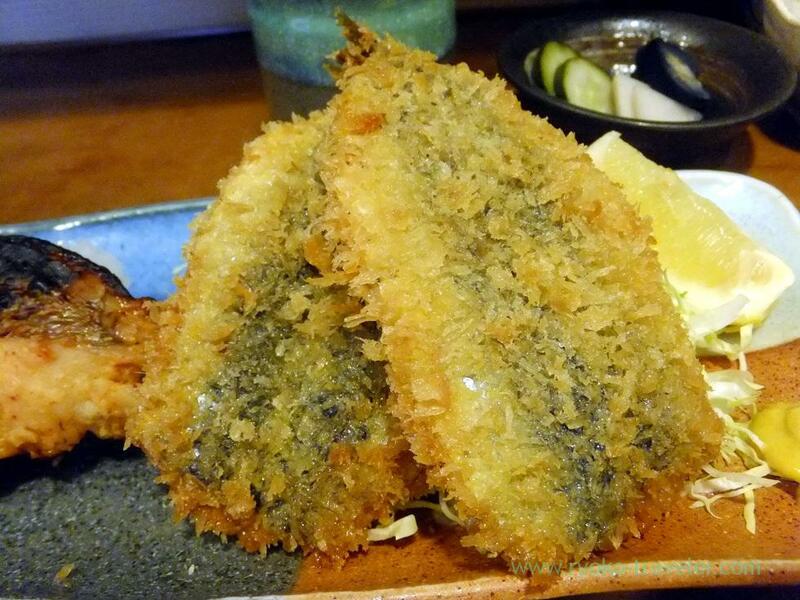 Though I’m familiar with deep fried horse mackerel, I hadn’t heard the word “deep fried sardines”.But it was tasty. Its coating was crisp and its inside, the meat of sardine was soft. 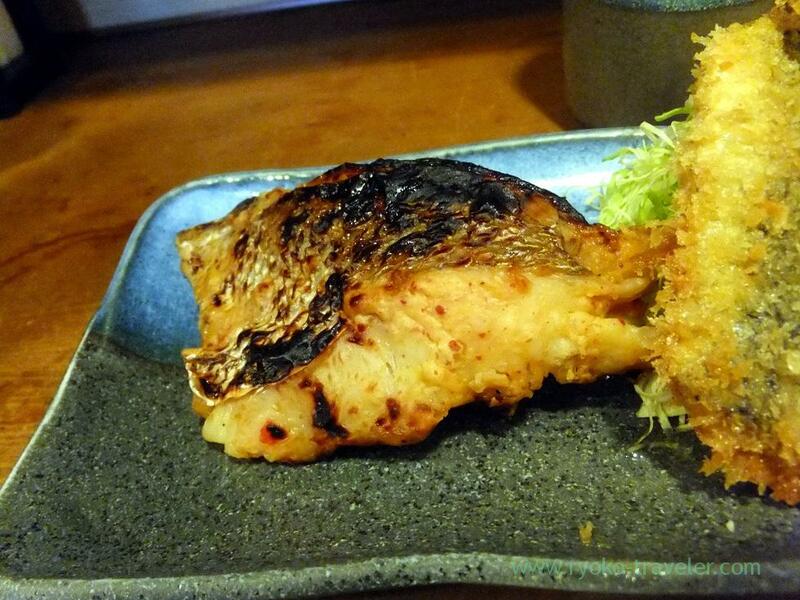 And this, it is the grilled red sea bream with saikyo miso.